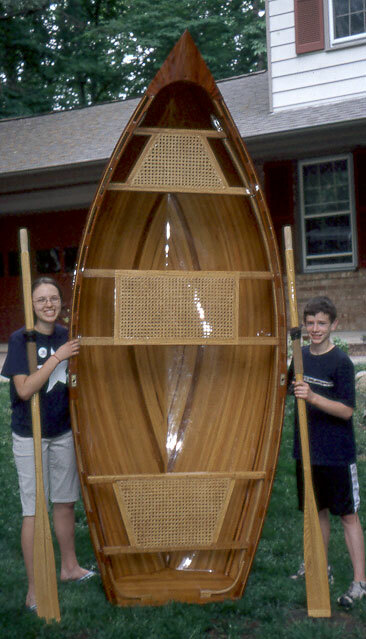 William Bliss, his wife, and five children made the construction of this boat a family project. It took 6 years from 1998 to 2004. SGT. MULVANEY is a 10' Classic Dinghy designed by John Clark of Compumarine in Rio Rico, AZ. The dinghy is strip-planked with western red cedar. 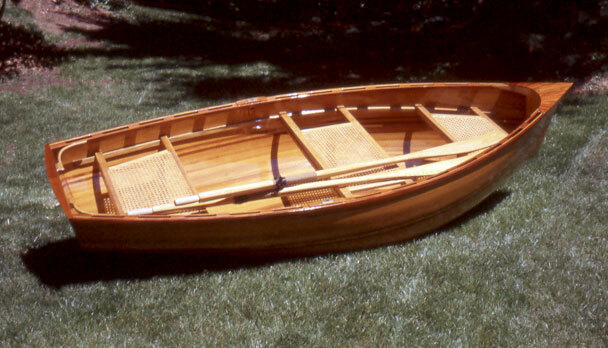 The Bliss family modified the plans by replacing the mahogany thwarts with caned canoe seats. Contact the Bliss family at 2800 Alton Hotel Court, Woodbridge, VA 22192 (email: webliss@comcast.net).